The Standard revolver holster designed to fit most N-frame handguns with a 6” barrel. 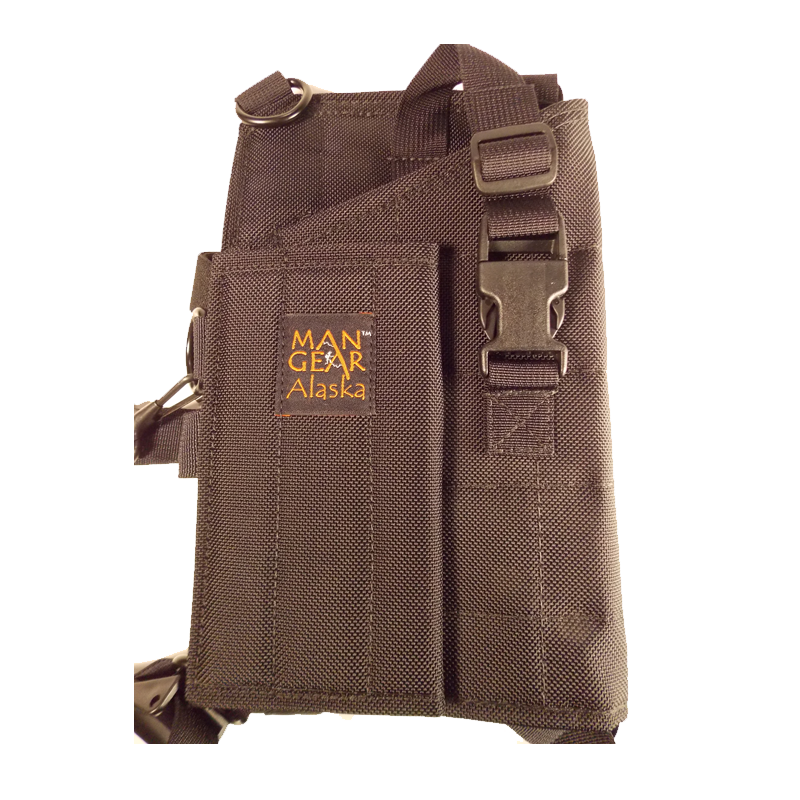 It has three rows of cartridge loops and the standard hooks and loops flap covering the loops. It has a 1” heavy nylon webbing thumb strap and high quality side release buckle to secure the gun into the body of the holster. It has three trigger guard stich outlines so that the perfect fit can be obtained for .357’s, .44’s, and pistols that need just a little more room in the holster, such as the Super Redhawk.